Do you think a million dollars is out of reach? Think again. 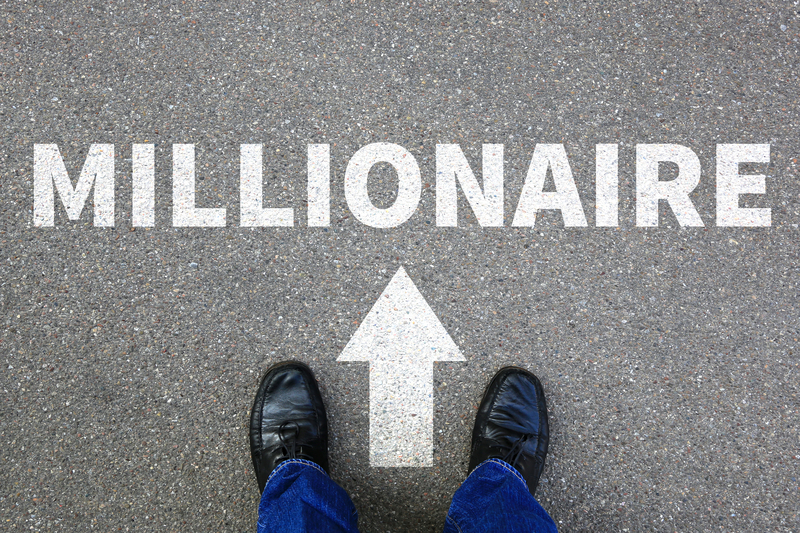 Short of investing – which takes capital – or working on commission in high ticket sales, there is likely no better place to become a millionaire than via the Internet. To put a million dollars into perspective, you will need to earn $2,739 per day for 365 days if you’re going to accomplish the task in one year. If you’re patient, you need only make $548 per day for 5 years, or $274 per day for 10 years. You see? Making a million dollars is completely doable. Here then are 9 gems to get you thinking in the right direction. My recommendation: Choose one and focus on that until it’s earning you a good income, then add a second and even a third stream into the mix. 1. Leveraging. Find something that works and then multiply your efforts. For example, create a great product line with a dynamite affiliate program, and then focus on recruiting the best affiliates to sell for you. You’ll be leveraging their efforts for your gain. I forget who said it’s better to have 1% of the efforts of 100 people than 100% of the efforts of one – but imagine if you get 10% of the efforts of 100 people. You might need to recruit a 1,000 affiliates or more to find these 100, but it will be well worth it. There are product creators right now on ClickBank who have earned far in excess of a million dollars simply by using this method. 2. Scaling. When you create a product that is a hot seller, don’t stop. 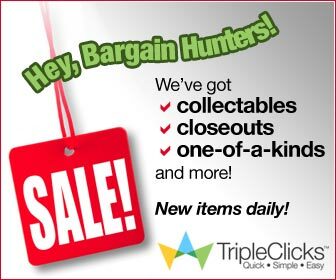 Create similar products at larger price points that you can sell to your same customers. Then create related product lines to sell to existing customers, as well as to attract new customers to your product lines. Your goal is to add to your product line both vertically and horizontally, attracting a much larger share of your market and making you the market leader. 3. Coaching. Start with a few clients to figure out what you’re doing. Then scale this up and leverage it with affiliates. You can sell one-on-one coaching, coaching memberships, group coaching and coaching events. Imagine putting on a coaching event in a different city every two weeks and selling seats for $997. You’d only need to sell 39 seats in each city to earn that million dollars. Not possible you say? Tell that to Tony Robbins – he probably earns close to a million dollars for every event he does, and that’s after expenses. In case you’re curious, his net worth is estimated to be $500 million. Think about it – if he can earn a million dollars 480 times, you can certainly do it once. 4. Continuity. If you could sell a product once for $27, or you could sell access for $10 a month, what would you do? Here’s a hint: What do Netflix, cable companies, cell phone companies, utility companies, hosting companies, etc. all have in common? Continuity – the ability to bill month in and month out. Find something that people are willing to pay for monthly, then scale it up and use leverage, and you’ve got a proven wealth formula. So what’s the best place to start looking for the right product? Software or some kind of online automated service. You can give away free trials and then begin charging. 5. Consult. If you’re really good at business or marketing, consider consulting with existing business for a share of the profits. For example, you work with a publisher to increase sales of their products, and in exchange you get 50% of the increased revenue. This is found revenue they would not have received if not for you, so it’s a win-win and a great way to make serious money. Start with small businesses, earn your successes and work up to the million dollar deals. 6. JV Broker. There are tons of businesses outside of the IM field who don’t know much of anything about doing joint ventures. You can set up deals between these businesses and product owners to promote the products to the business’ existing customer list for a share of the profits. For example, an online fitness equipment seller has a list of 100,000 customers and prospects. You broker a deal between them and a fitness info product, taking a percentage of the profits. You write the series of emails, set it all up, and take your cut. Then you do it again and again. One deal could make you anything from several hundred dollars to six figures, depending on the size and responsiveness of the list, how well matched the product is to the desires of the list and other factors. 7. Be cheap. If you can somehow offer an extremely popular and in demand product at a lower price while still making a profit, you could earn far more than a million dollars. Swanson Vitamins offers nearly every herb and vitamin imaginable, and every price is almost always lower than stores and mail order competitors. Netflix offers unlimited streaming for less than $15 per month – about the price you used to pay for 4 movie rentals – and you had to drive to pick those up and return them. Hosting is another great example – it used to cost far more to host a website until one company decided to start charging $10 a month, and later reduced that price even lower. You won’t find this type of opportunity available everyday, but if you keep your eyes peeled and you’re not afraid to take massive action, you could be the next Netflix. 8. Be an authority. Or better yet, get famous. When you’ve got a name people recognize, they want to do business with you. In fact, if you’re famous or enough of an authority, you can command top dollar for your products and services. Just look at a handbag in a discount store versus a handbag with the famous Gucci name on it. The difference in price is downright ridiculous, especially when you realize there sometimes isn’t much difference in quality. Could Tony Robbins command so much money or fill entire auditoriums with $1,000 attendees if he weren’t famous? Probably not. So how did he get so famous? Infomercials. And results, of course! Originally, he bought his way to fame and made money the whole way by truly helping people. Put out press releases, do outrageous things, become known as the mover and shaker in your industry and you can be famous, too. 9. Be Oprah. Not actually Oprah, of course, but look at how she got rich – she hosted a talk show and made her guests look good. Today thanks to the Internet, anyone can host their own show. You can do video or podcast or both. You can interview anyone on any topic, so long as you can get them to say yes. And you can become famous and rich doing it. How? Choose a niche and make your show THE authority on that niche. Then promote the products of the people you interview. Now that I’ve shared these methods with you, take a few minutes to read them again. Which one resonates with you? Which one gets you excited and motivated? Which one can you see yourself doing? Notice something – you are no longer thinking about “whether” you can make a million dollars. Instead, you are now thinking about “how” you WILL make a million dollars. Big difference, huh? The very first step to making money is believing you can do it. The second step is choosing a plan of action. And the third step? TAKING action. Hi, My name is Frederick Croniser, I am an internet entrepreneur, who wants to help people accomplish their goals and achieve their dreams. I want to inspire people to obtain the life they desire. Through helping others then I will accomplish my dreams and achieve my goals.